Fluid-loss tests measure the slurry dehydration during and immediately after a cement job. API offers operational test procedures for determining the fluid-loss rate. After conditioning at simulated well conditions, the test slurry is transferred into a heated cell and subjected to 1,000 psi (6.9MPa) of differential pressure. A standard 325/60 combo mesh filtration screen is used to measure the amount of filtrate loss. 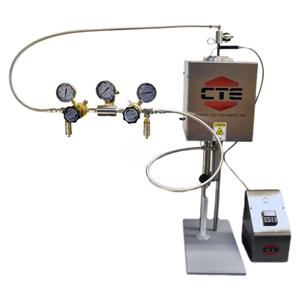 A 30 minute filtrate collection time is used to record the volume fluid. The reported fluid-loss value is equal to the collected filtrate volume multiplied by two. 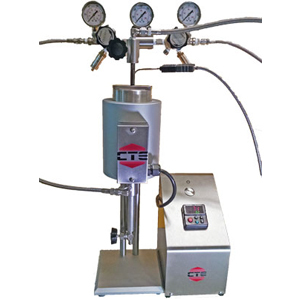 Static high pressure, high temperature filter presses are available in two sizes; smaller 175mL and larger 500mL. Both units operate can operate up to a maximum temperature of 500F (260C) and 2,500 psi (17.2MPa). Both units require the use of a backpressure receiver when the slurry temperature exceeds 200F (93C) to prevent evaporation of the filtrate.